Author Neil Faulkner with Samir Dathi, Phil Hearse and Seema Syeda. 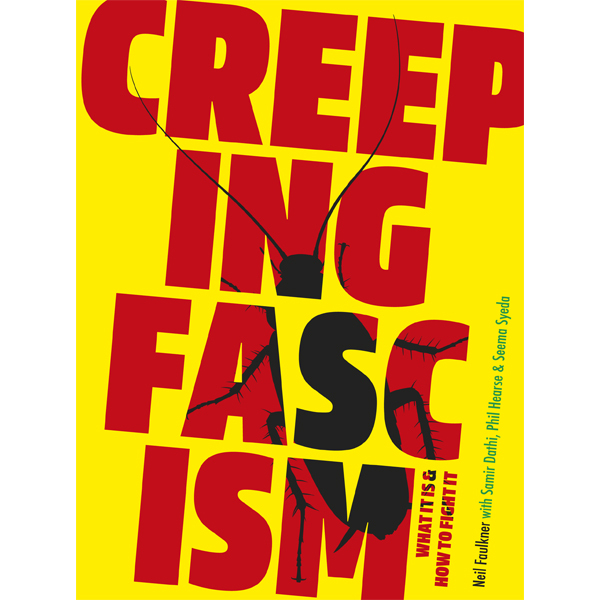 This book is about one simple idea: that the wave of racism and reaction sweeping the world is the modern form of fascism. The ‘Brexit’ referendum in 2016, when just over half the British electorate voted to leave the European Union, was followed a year later by Donald Trump’s election as US president, confirming a qualitative shift in global politics, a sudden lurch to the right, away from liberal democracy towards a police state enforcing nationalism, racism, and sexism. Nothing has happened in the two years since Brexit and Trump’s election to doubt that world politics is increasingly poisoned by ‘creeping fascism’. The ascendancy of politicians like Trump in the US, Marine Le Pen in France, Matteo Salvini in Italy, Victor Orban in Hungary, Jair Bolsonaro in Brazil, and many more in other countries, cannot be explained as a passing phase of ‘populism’, and to do so minimises the accute dangers we face from the global rise of the far-right. How can we stop this ‘second wave’of fascism returning us to the darkest times? How do we prevent the history of the 1930s repeating itself in the early 21st century? How do we break fascism, before it breaks us, and open the road to an alternative future and a world transformed? Dr Neil Faulkner FSA is an archaeologist, historian, and radical activist. Among his many books are: Lawrence of Arabia’s War, A People’s History of the Russian Revolution, and A Marxist History of the World: from Neanderthals to Neoliberals. £15 | 344pp Post free in the UK. For outside UK, contact info@prruk.org.